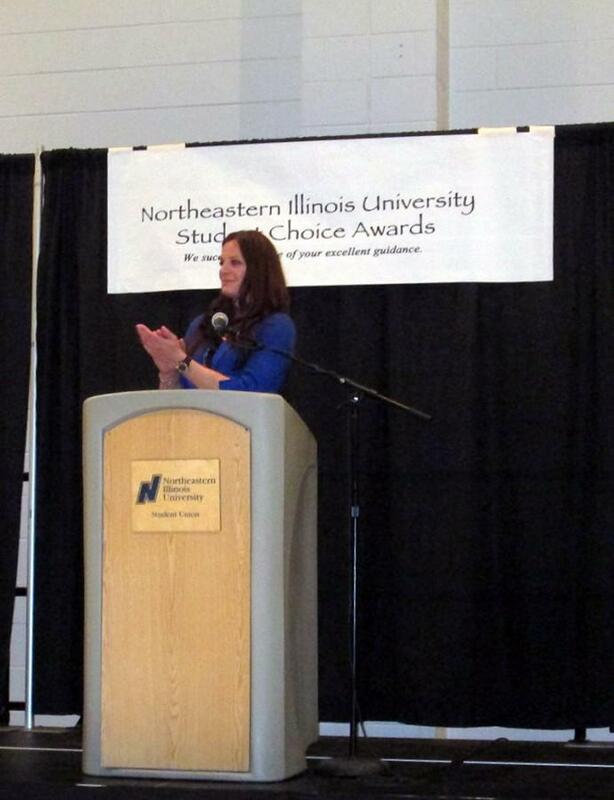 Excited faculty, staff and students filled Alumni Hall on April 1, 2013 for the first annual Student Choice Awards. According to Kelly Webb, President of the Northeastern Illinois University (NEIU) Honors Society, there were more than 1,000 students who participated in the voting. The awards were sponsored and hosted by the Honors Society with co-sponsorship provided by more than 20 other student clubs. By department, Mathematics received the most votes, followed by Communications, Media & Theatre and then Social Work. Dr. John Boyle, Assistant Professor in Linguistics received the most votes individually.